Whether your business is a small to medium for-profit, or a not-for-profit, you need to maximize the value of your financial information while working efficiently to record financial transactions. I can provide the level of bookkeeping services you require so that you can concentrate on furthering your organization’s goals, not on the bookkeeping. When we decide to work together we’ll decide what work arrangement will work best for YOU. I can work at your office, with data stored on your computer. Or, I can work at my office using either remote log-in or QuickBooks® Online. Work can be done weekly, monthly, quarterly or annually, at your convenience. At the end of the year you will be able to present data to your accountant ready for tax return processing! With employee hours tracked in real time, employee timesheets are ready for payroll whenever you are. It’s delightfully easy time tracking for your business. 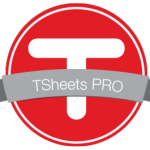 Click the TSheets PRO link to learn more and start your free 14 day trial.